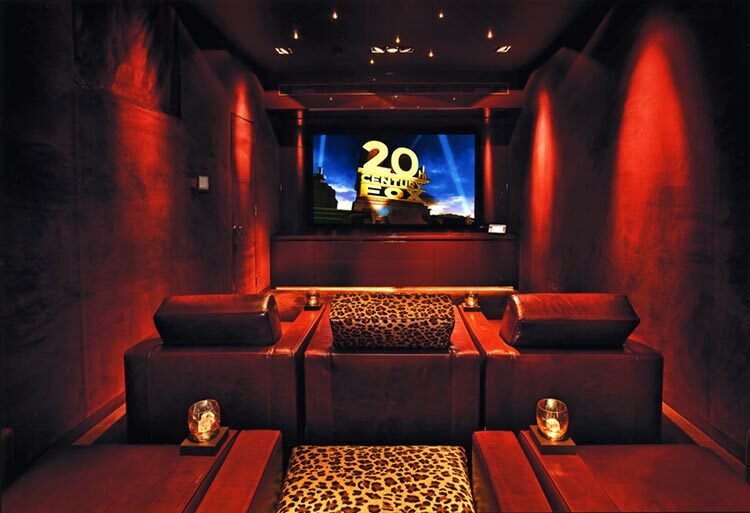 Interior Designer, Beverley Williams, contracted CAI Vision to design and install a state-of-the-art Home Cinema system into the basement room of a prestigious home in North London. Our project manager and designers produced the installation layout and specification to fit with Beverley’s design plan for the basement area. With both a flat-screen Plasma HDTV and a retractable cinema screen, we flush-fitted 5 x Kef ci 9000 wall speakers and installed a Kef Kube 2 sub woofer for truly impressive ‘surround sound’. To complement the cinema screen, we specified a ceiling-mounted Panasonic PTA 3000 projector. To complete the entertainment experience, we installed a Panasonic Blue Ray player and Sky HD box. All the cabling for the cinema network was completely concealed, and all the systems can be operated from the cinema room’s premium quality seating using a hand-held Control4 controller. 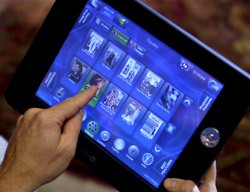 We also installed a fully controllable lighting system, with a wall-mounted touch screen controller.